College students and, more recently, techies in the growing innovation economy have complained about how Boston shuts down too early. 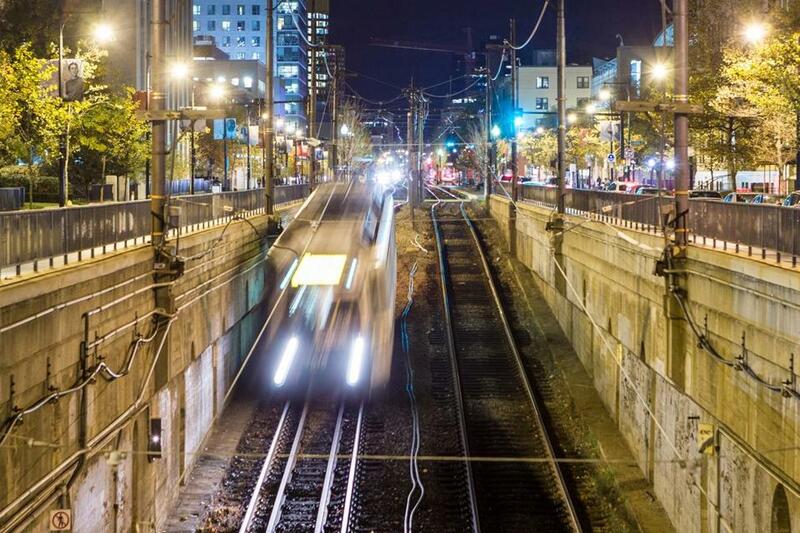 There’s life long after midnight in Boston, and finally the MBTA wants to be part of it. Starting next spring, the T will run all subway trains and the 15 most popular bus routes until 3 a.m. on Saturday and Sunday. Yes, the T is still cash-strapped, and the state budget remains tight, but Governor Deval Patrick has found about $20 million, along with pledges from corporate sponsors, to launch a one-year pilot program to begin in March or April. College students and, more recently, techies in the growing innovation economy have complained about how Boston shuts down too early. T service ends at 1 a.m., and bars and restaurants close at 2 a.m. Those early hours also became an issue in the Boston mayoral race, as workers in the technology sector told the candidates the T’s schedule did not match their late-night work ethic. It’s something Mayor-elect Martin J. Walsh promised to work on when he got into office. Well, he can cross it off his to-do list because the governor got to it first. After the battle he waged this summer over new taxes to finance transportation projects, the governor figured there has to be a better way to raise money for the T. Leaning on the private sector became a theme. In recent months, his administration seized upon making late-night T service a reality. A nudge came from young tech types and blue-collar restaurant workers who live north of the city and were worried about their commute once the Callahan tunnel closes for repairs this winter. The new late service, which will include the Silver Line, will be a one-year experiment. If it proves popular, it could become permanent. The T’s last dabble with late-night service didn’t go so well. Launched in 2001, the Night Owl bus service ran from 1 a.m. to 2:30 a.m., Saturday and Sunday mornings. But it drew few patrons over the years and was canceled in 2005 because ridership didn’t support the cost. Transportation Secretary Richard Davey said things are different now, and that train service will likely spur more people to use public transit after midnight. The last train would leave the city around 2:30 a.m.
Davey said the T hasn’t yet projected how many people will ride the system in the wee hours, but the weekends appear to be busy. For example, the T estimates that on an average Saturday night about 5,200 people enter a Red, Blue, Green, or Orange line turnstile between midnight and 1 a.m., compared to nearly 3,000 on a typical weeknight. Davey said the pilot will help determine if late-night service is sustainable. The T will charge the same fares as any other time — $2 for subways using the Charlie Card and $1.50 for a bus ride. If the service becomes permanent, the T may consider charging a premium, say about $3 or $3.50 per ride. Currently, the state is footing the $20 million bill for the pilot and negotiating with a handful of corporate sponsors to defray the cost. The state is looking to raise $2 million to $5 million from the private sector; actually it will take any amount it can get. Davey said he’s in talks with up to a half dozen “well- known” companies. One of the potential sponsors is The Boston Globe, which has an agreement in principle with the T.
Greg Selkoe, founder of online fashion retailer Karmaloop and a leader in Boston’s innovation community, pledged to help raise money for late-night service. Like other startups, his is a global operation, and at any given time 15 to 20 percent of his 250 employees are working overnight. If this service takes off, then maybe bars and restaurants are next. In an interview with me last month, Walsh envisioned a late-night Boston with downtown bars serving until 2:30 a.m. and dancing until 3:30 a.m. Imagine that. Boston could really start to have some fun.